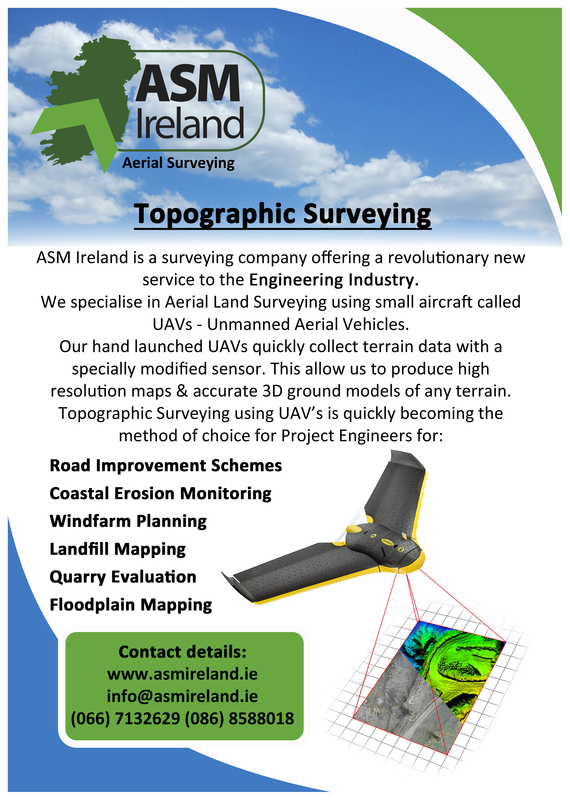 ASM Ireland is the first company in Ireland to specialise in Aerial Surveying using Unmanned Aerial Vehicles or UAV’s. Our small lightweight planes, often referred to as Drones or RPAS (Remotely Piloted Aircraft Systems) are hand launched and controlled entirely from the ground, making them ideal for a large variety of 3 Dimensional land surveys from a few acres up to several square kilometres in size with unprecedented quality of up to 3cm’s per pixel resolution due to the low altitude at which our surveys take place. ASM Ireland offers a service that is much more than standard Aerial Photographs. We produce georectified maps using high quality digital photographs, from these distances, areas and potentially even volumes can be accurately measured. The method of doing this isn’t new, it’s a proven technique known as photogrammetry and its as old as photography itself. It’s the way we do it that’s revolutionary. Click on the button below to learn how we make maps from pictures. Using UAV’s allow maps to be produced at very affordable prices for any purpose allowing a broad market from Civil & Environmental Engineering projects to Quarries, and Golf Course’s to Agriculture among many others to benefit from their potential. Browse through our website and discover what our services can do for your industry. We’ve covered projects throughout Ireland, if you have a potential project in mind call or email on the contact details above.